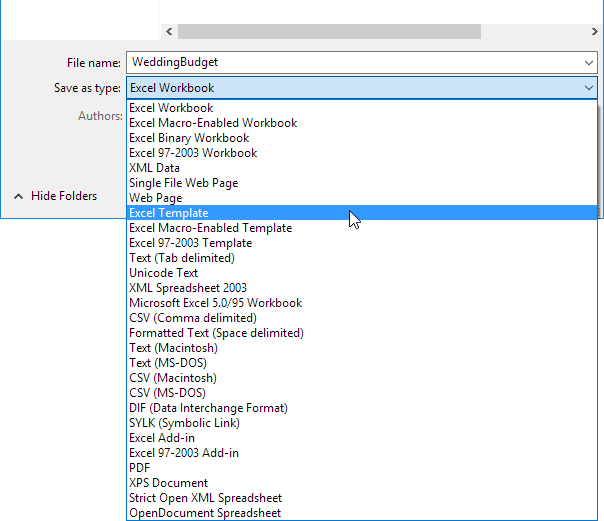 To create a workbook based on an existing template, execute the following steps. 1. On the File tab, click New. 2. 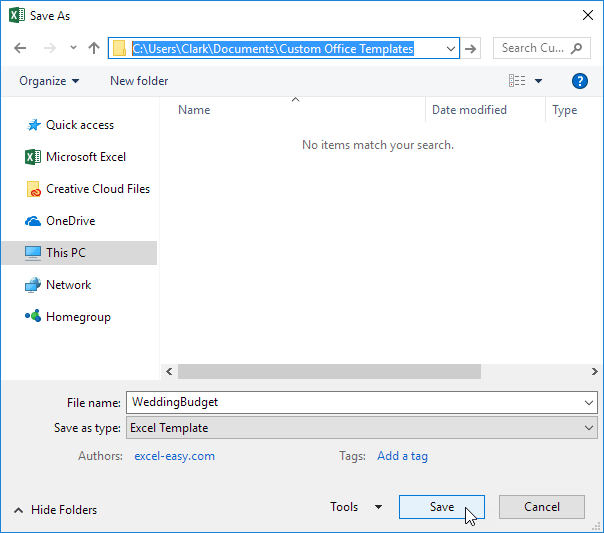 Use the search box to search for online templates or click a template from one of the featured templates. 3. Click Create to download the template. Excel creates the workbook Academic calendar (any year)1.xlsx based on this template. If you create your own template, you can safely store it in the Templates folder. 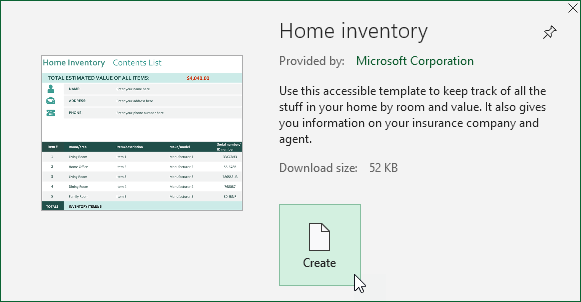 As a result, you can create new workbooks based on this template without worrying that you overwrite the original file. To create a template, execute the following steps. 4. Enter a file name. 5. Select Excel Template (*.xltx) from the drop-down list. To create a workbook based on this template, execute the following steps. 7. On the File tab, click New. 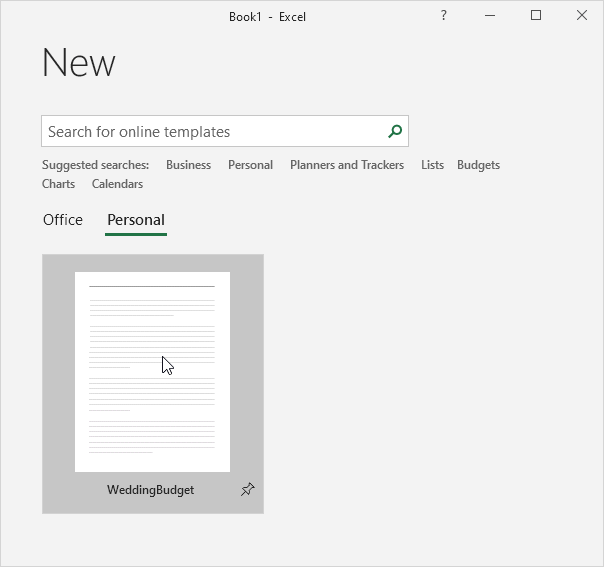 Excel creates the workbook WeddingBudget1.xlsx based on this template. Note: to edit a template, on the File tab, click Open and then click Browse, to open the template. 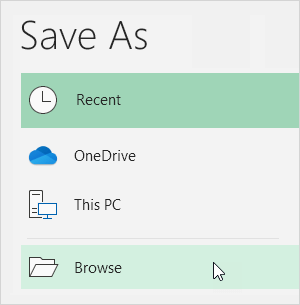 Edit the file and save the file to its original location.